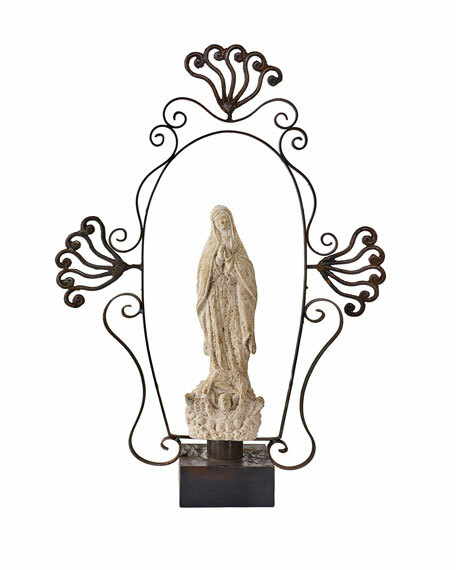 Detailed sculpture depicts Flora, the Roman goddess of nature and spring. A renowned name during the Art Deco movement, Lalique has continued to create exquisite crystal pieces for modern times. In 1926, Rene Lalique began manufacturing satin-finished vases, bowls, and statuettes. Today, his fine tradition endures with themes ranging from classical forms to ultramodern designs. Agraria Golden Cassis Crystal Cane, 3.4 oz. 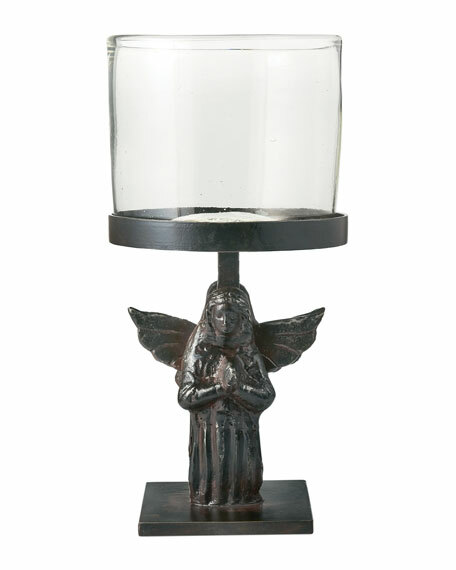 Iron angel stand with glass top insert. Hand wash. 9"Sq. x 17"T. Imported. Boxed weight, approximately 27 lbs. 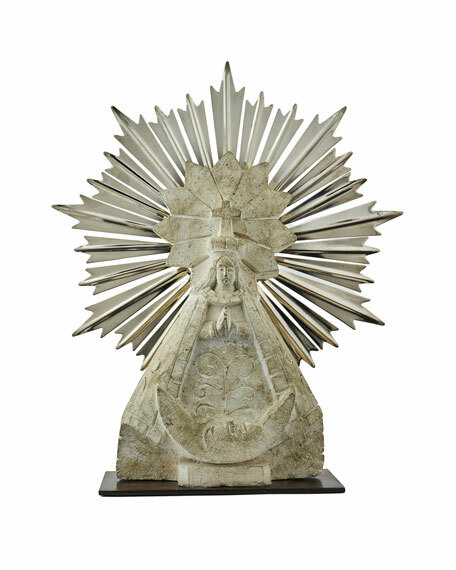 Cast stone Maria del Pilar with crescent moon, nickel aura and iron stand. This item is distressed and features intentional cracks and imperfections. 19"W x 6"D x 22"T. Imported. Boxed weight, approximately 38 lbs.